The days of managing multiple Facebook Pages for your brand are behind you. Facebook has launched Global Pages, allowing you to maintain a single Page with localized experiences for fans in different countries. 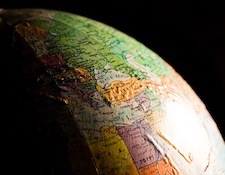 Global brands could rely on geo-targeting Page posts previously, but managing several country-specific Pages to get the word out to their vast audience was also a common practice. Facebook is simplifying the outreach process, making it easier for your fans as well as your social media team. Global Pages direct fans to a version of your Page specific to their regions. This enables them to see localized cover photos, profile photos, Page apps, milestones, “about” information, and News Feed stories — all while you maintain a unified Like and People Talking About This count in Facebook Insights. As an international brand utilizing Global Pages, you can take advantage of one global brand identity that can be promoted through a single URL (as fans will be automatically directed to the best version of the Page for them). Additionally, global insights will be available in one easy-to-view dashboard. Currently this structure is being offered for country Pages, and not on a state or city level. For more information on how to migrate your Pages into the new framework, contact your Facebook client partner or account manager.